(Louisville, KY) The Miss Kentucky’s Outstanding Teen Pageant, (MKOTP) will take place on Saturday, May 26 th and Sunday, May 27 th at the Kentucky Center in downtown Louisville located at 501 W. Main Street. The official preliminary of the Miss America’s Outstanding Teen Scholarship Organization will bring 22 contestants from across the Commonwealth. Contestants are scheduled to arrive in Louisville on Thursday. On Friday, they will participate in the interview portion of the pageant followed by tours of Churchill and the Kentucky Derby Museum. Then that night, they will enjoy a Louisville Bats Game. On Saturday, May 26th is the beginning of the stage competition. At 12:00 pm, is the preliminary competition which will be conducted in front of an audience. Followed by a second round of preliminaries at 8:00 pm. 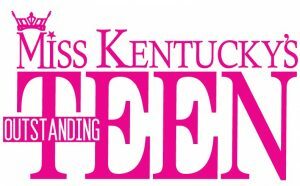 On Sunday, May 27 th at 2:00 pm, the finalist will be announced and one young lady will be announced as this year’s Miss Kentucky’s Outstanding Teen. Each contestant will be judged on talent, a private interview, lifestyle and fitness in sportswear, evening wear and on-stage question. Last year’s winner and current title holder Frankfort, KY native Abigail “Abby” Quammen will be attending the University of Alabama on a full tuition scholarship just for competing at the national pageant. The program is empowering young women, through pageantry to develop leadership skills, confidence and achieve their biggest goals in life. MKYOT is changing Kentucky, one young woman at a time.